At this point, I’ve experienced more than my fair share of out-of-the-ordinary moments in the name of a story, photo, or press opportunity—everything from getting pedicures with a rapper, to risking my firstborn hanging a CHANEL jacket on an original Liechtenstein. 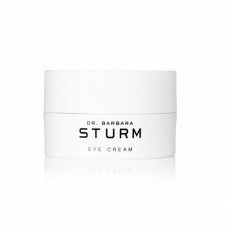 But there is very little I can imagine doing that would top a recent breakfast with Dr. Barbara Sturm, the doctor behind the eponymous (and revolutionary) natural skin-care line. It started out normally enough: breakfast at Café Clover, a presentation over avocado toast to every beauty editor in the city about the launch of the line in the U.S. and its many scientifically backed merits and miraculous results. And then, as we left, along with the usual swag bag of products, each of us was given the opportunity to sidle up to the restaurant bar and have our blood withdrawn by Sturm herself. Perhaps it shouldn’t have come as a surprise that something like this might happen—or, at the very least, come up. 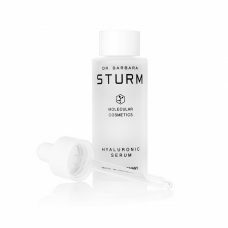 Long before Sturm launched her own skin-care line, she pioneered the so-called vampire facial—the Kardashian-supported procedure where one’s own blood is withdrawn and then injected back into your face. The science behind this—to paraphrase in layman’s terms, that the protein in your blood has powerful healing properties, and using your own blood is something like using personalized anti-aging, renewing injectables—led her to develop a cream, called MC1, that takes those same proteins from your blood and blends them into a moisturizing cream. And a few days after my Café Clover blood work, that’s exactly what I got: a small jar of moisturizing cream, “customized” with my own blood. Now, I have a long and very fraught relationship with skin care—and I’ve talked about it. A lot. Enough that I made an unofficial pact with myself that I would just shut up about it already. But then I got cream formulated with my own blood, and it was like the story had already written itself. 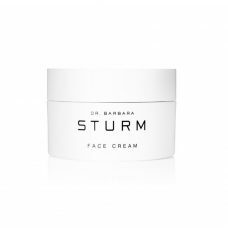 For the past three weeks, in an effort to see how much this miracle cream can actually do, I’ve stopped using any other skin-care products (including any acne-clearing products, my skin-care Achilles heel), save for a very mild oil cleanser, Dr. Barbara Sturm Hyaluronic Serum (possibly the nicest, lightest, most moisturizing serum I’ve ever used), and the MC1 cream. Oh, and eye cream, always eye cream. Not only has it made my routine incredibly streamlined and simple, but my skin feels nurtured—there’s nothing harsh about it. The results? My skin is the softest it’s ever been (possibly a combination of avoiding all the astringent and drying products I usually use to fight acne and the super-moisturizing properties of my blood cream), but the biggest surprise is that, while I still get minor breakouts, they clear up weirdly—you might say *miraculously*—fast, and they’re not nearly as severe or as deep. Now I just need to get on a serious money-saving plan so I can keep this up. Photo: Shot on site at 6 Columbus, a Sixty Hotel. On Solveig: Rings, Baker & Black, Azlee; Hair, Angela Soto; Makeup, Andriani.